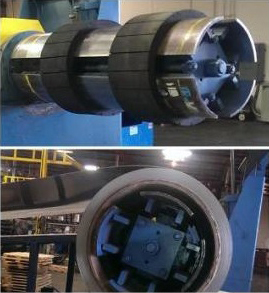 Our Mandrel Sleeves are built to meet specific project requirements and custom applications. These sleeves contain a variety of rubber compounds with a diversity of durometers and textures. They also significantly decrease down time for maintenance by mitigating coil damage. Lastly, our mandrel sleeves are lightweight, providing unparalleled ease of installation.